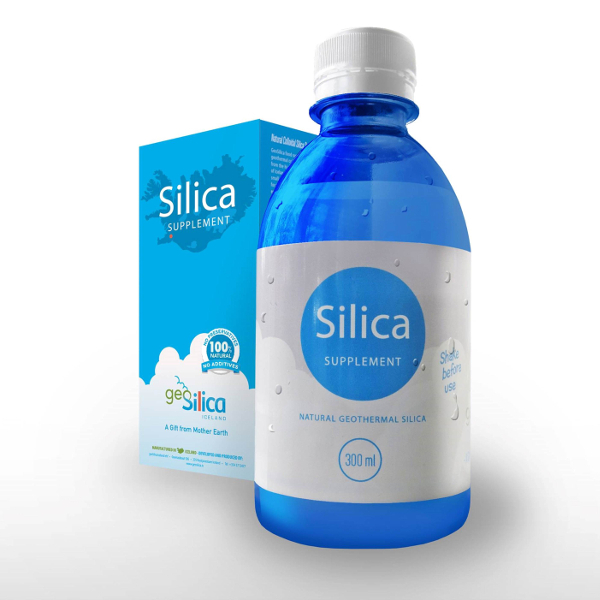 Silica supplement from geoSilica in Iceland is high quality, 100% natural mineral, extracted from the high-temperature geothermal reservoirs in Iceland. No artificial chemicals are added and the packaging can be recycled. I stopped getting fungal infections, my scars are not as thick and don´t itch any longer. I used to scratch myself until I bleed due to hypothyroidism. My skin became stronger, my hair is more alive and seems to help the absorption of iron. I have had iron and iodine deficiency and am low in B12. I do work out now, the brain fog has decreased and it’s easier for me to concentrate.